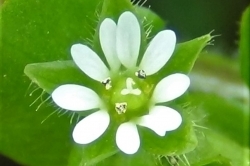 A typical Stellaria flower with five petals split in half looking like ten. 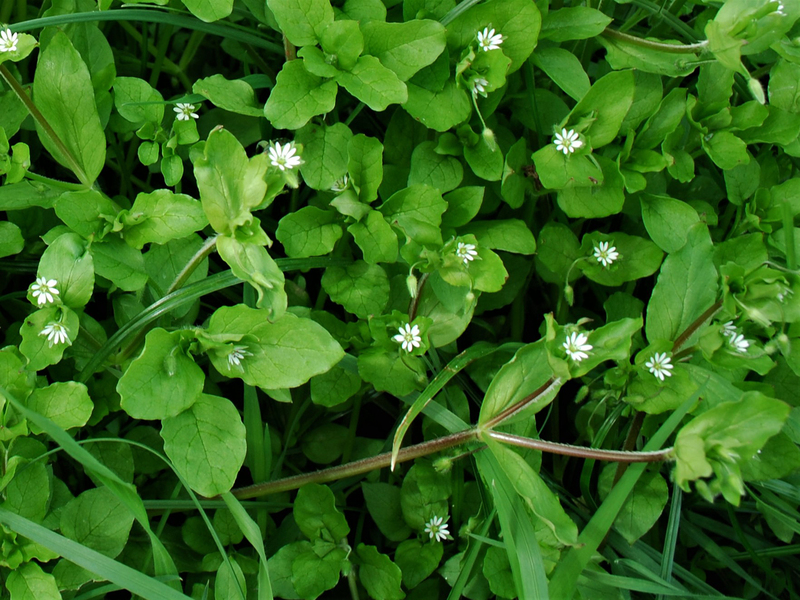 Very common and can be found all year round except when covered in snow, after a severe frost from which it will recover in no time or very dry conditions. 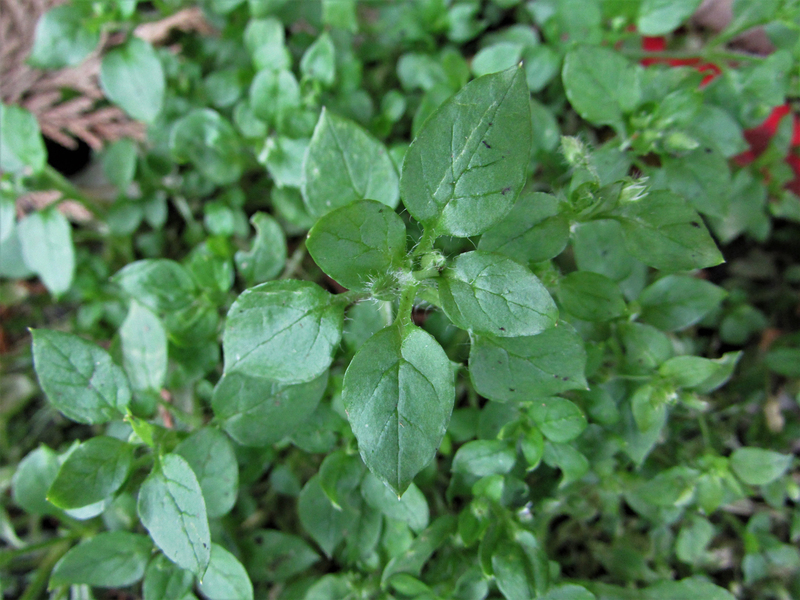 Small oval/round leaves with a pointed end. 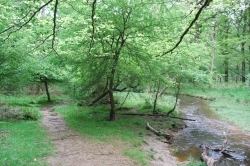 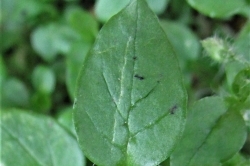 The delicate leaves can be smooth or sometimes slightly hairy. 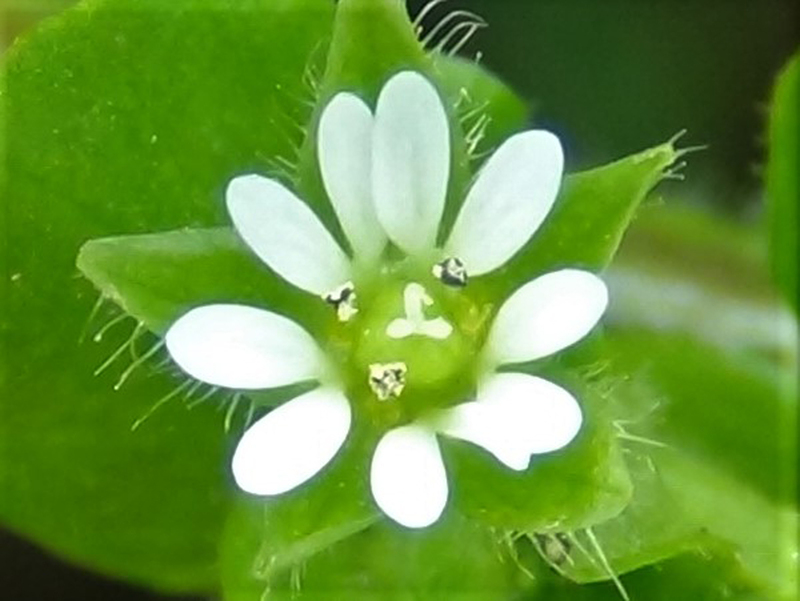 A small white flower with five petals that are lobed/split so they appear as ten petals, this is typical of the whole family. 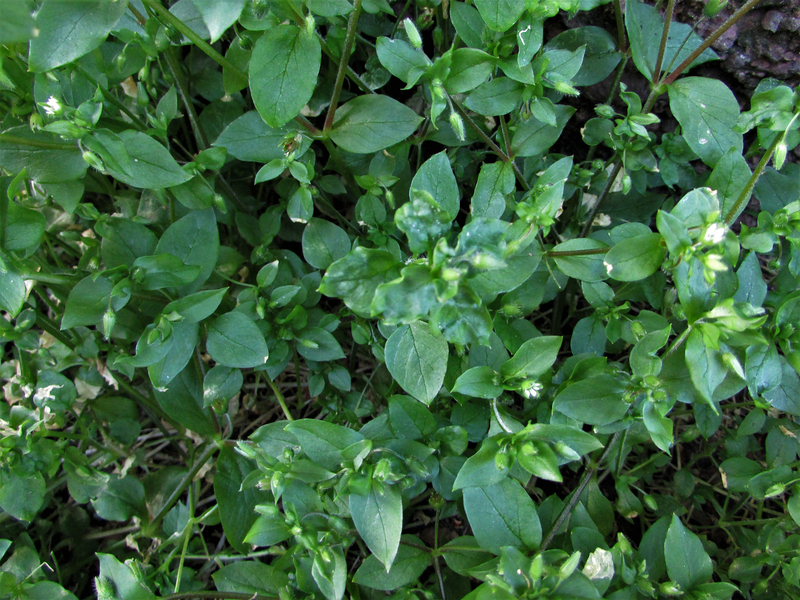 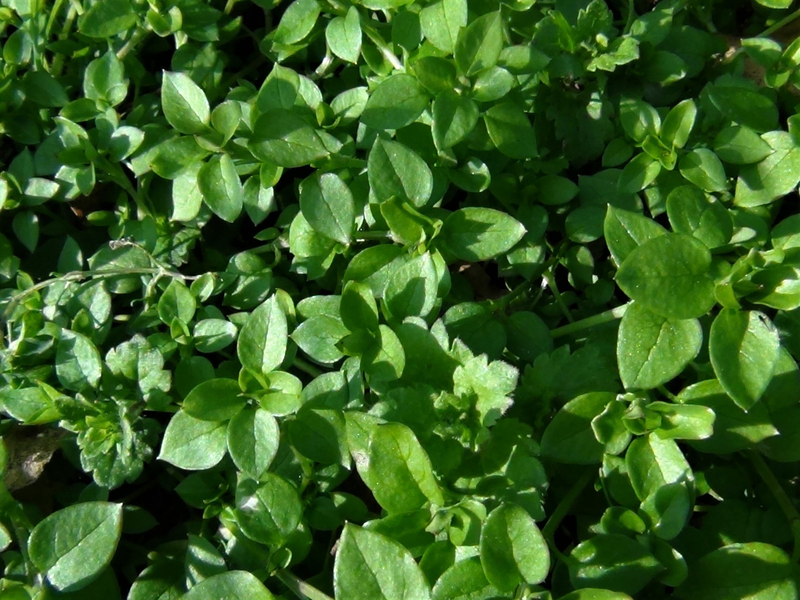 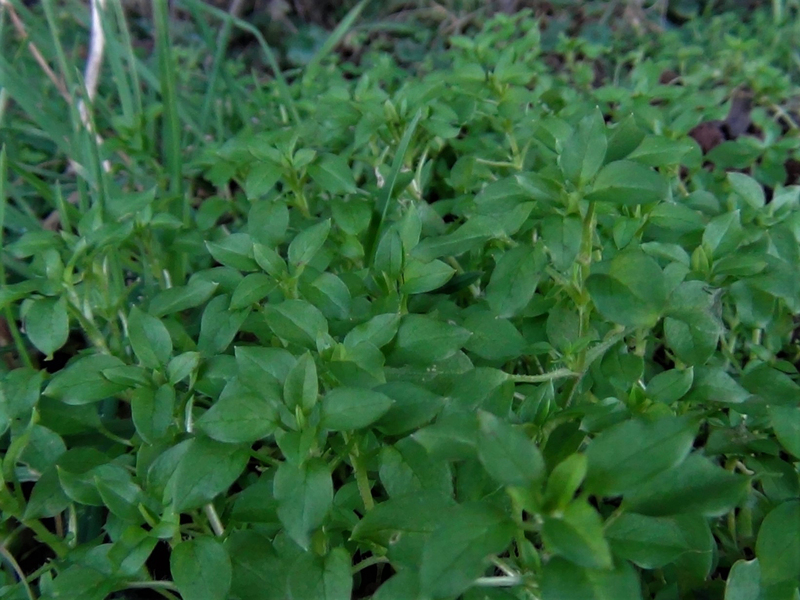 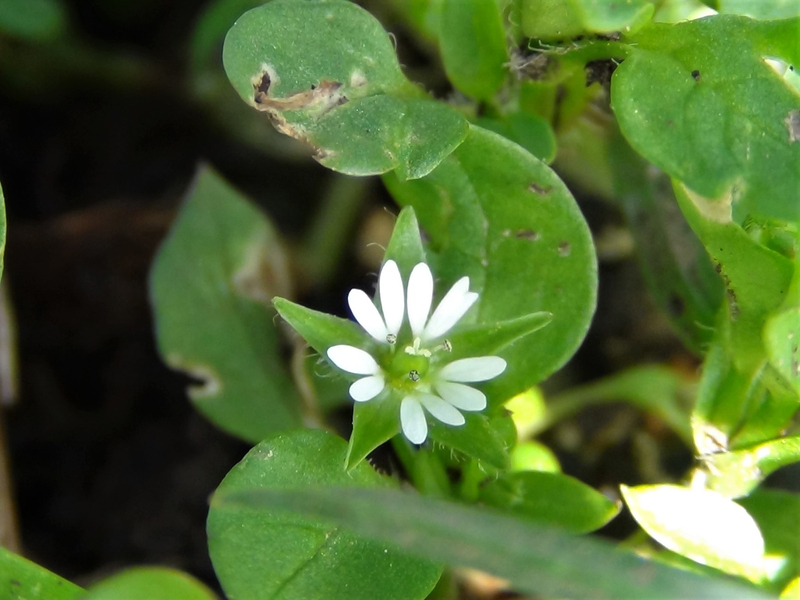 The stem of common Chickweed is its key characteristic. 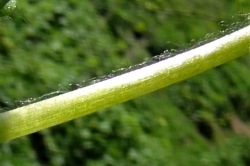 The stem is flimsy and mostly round but it has a line of tiny hairs down one side, which you can see if you roll the stem in your fingers. 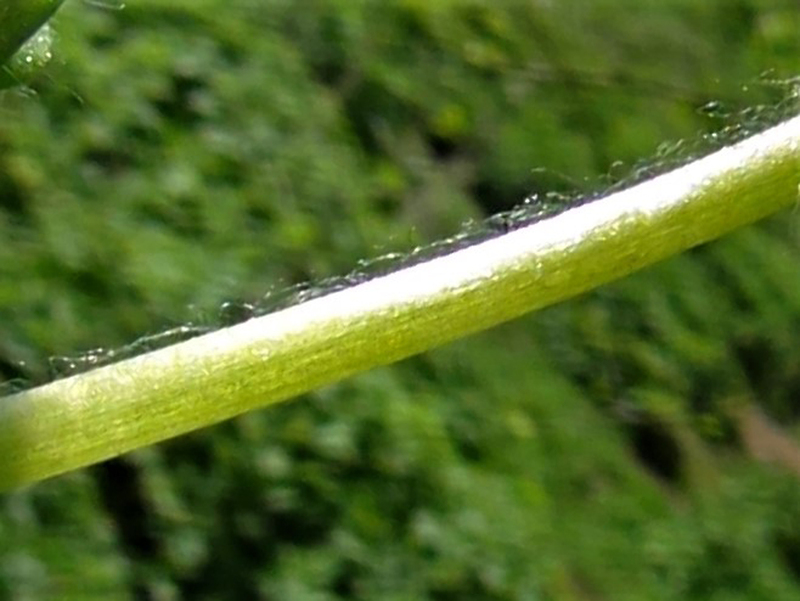 It looks a bit like the plant has a tiny mohican. 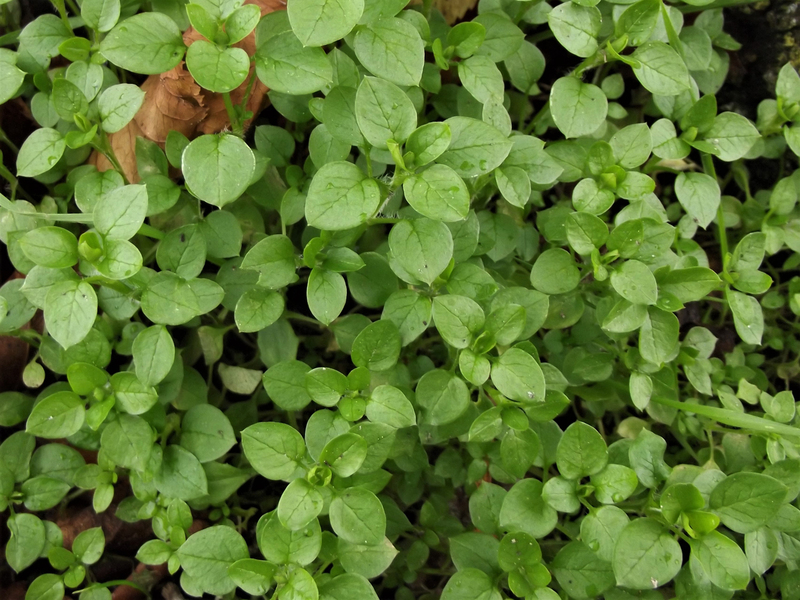 This plant seems to prefer open woodland but can be found in gardens, parks, waste ground and field edges or almost anywhere. 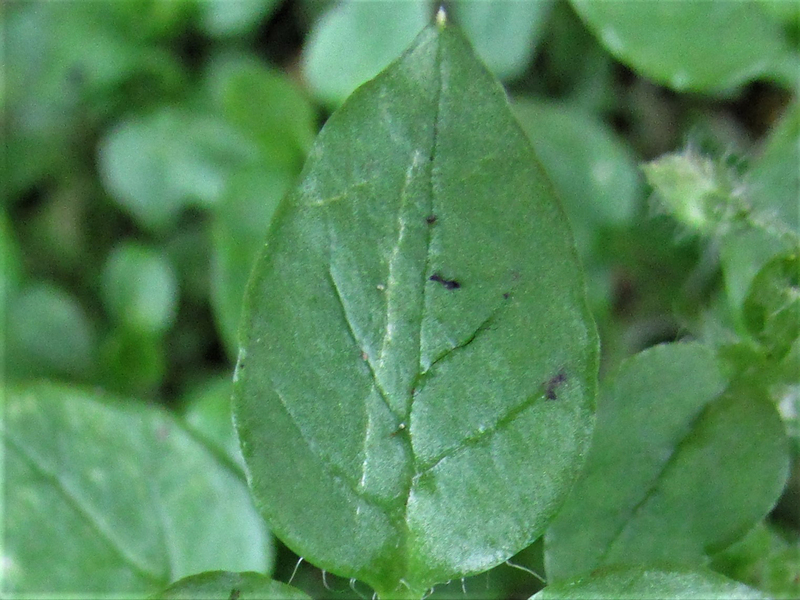 There are a few similar looking plants, Spurge, a Euphorbia, is one to avoid but using the line of fine hairs on one side of the stem as ID should save confusion with any other look alike as should the five petals looking like ten. 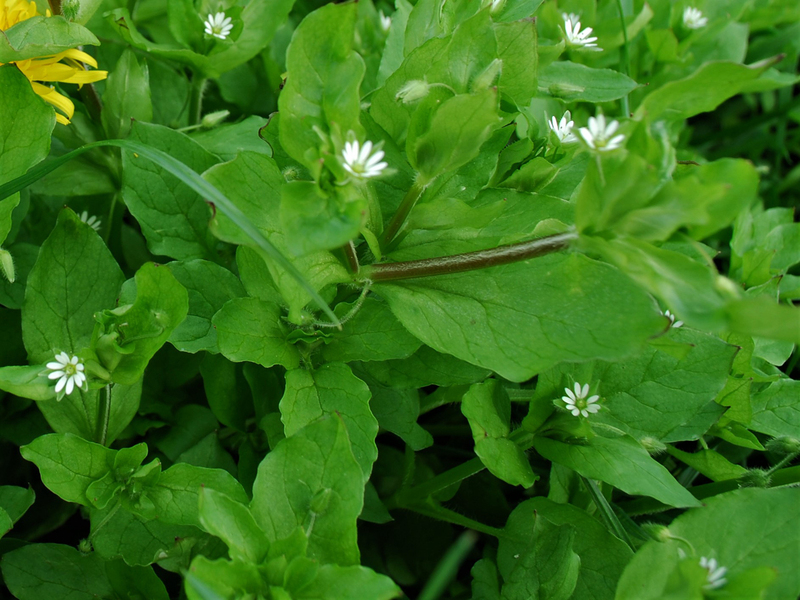 Usually compared to lettuce but we think it has a delicate taste of its own. 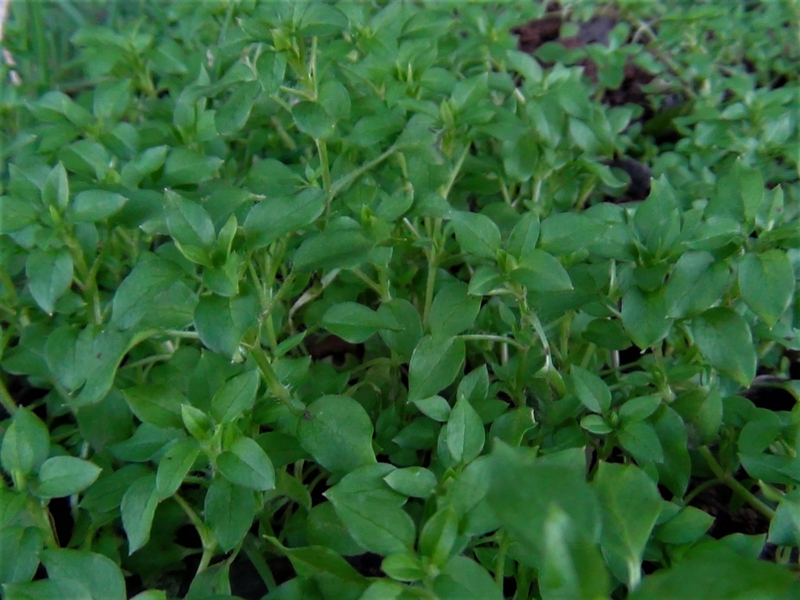 The young fresh tops are what you want to collect, further down the plant becomes stringy and fibrous. 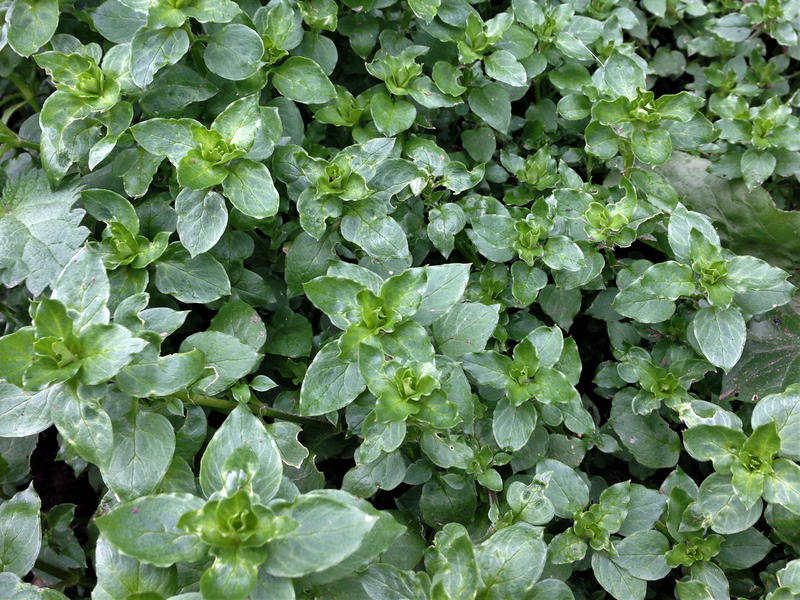 Used to be used to treat skin and lung conditions and for curing mange. 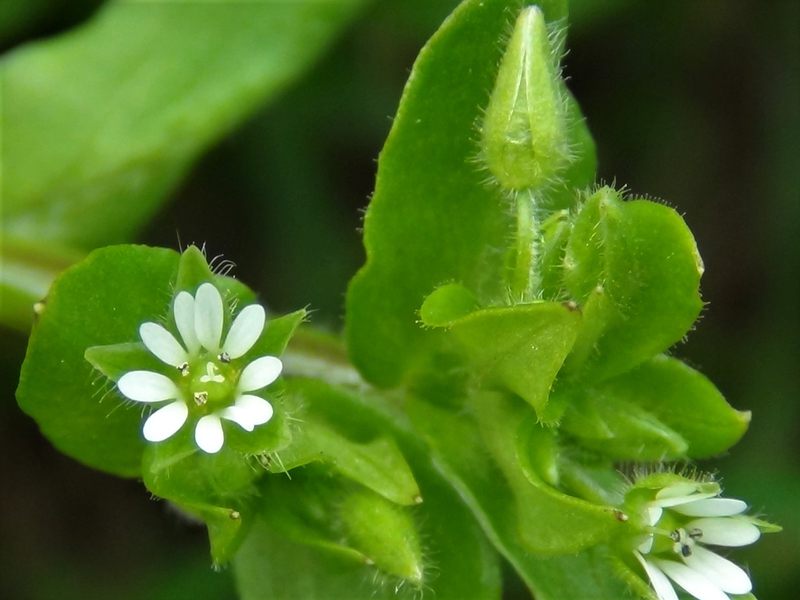 It is now thought to be beneficial towards rheumatic and arthritic pain and can also be found in skin creams to treat eczema. 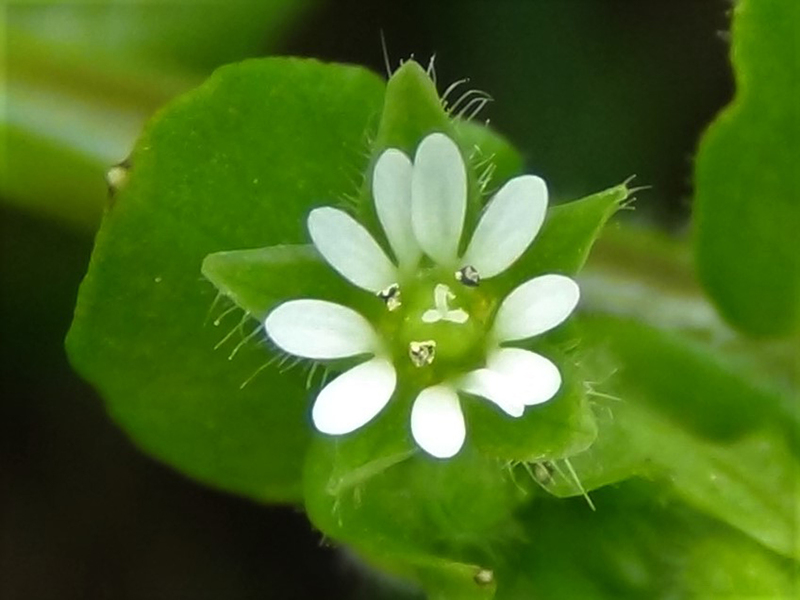 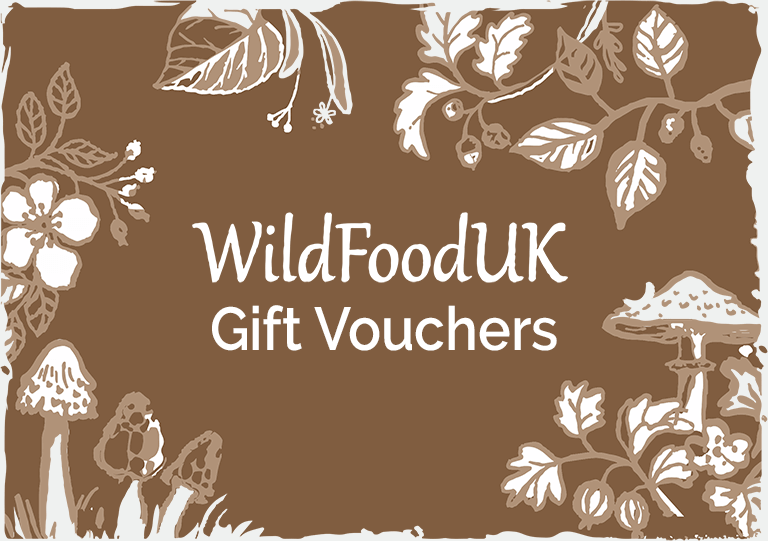 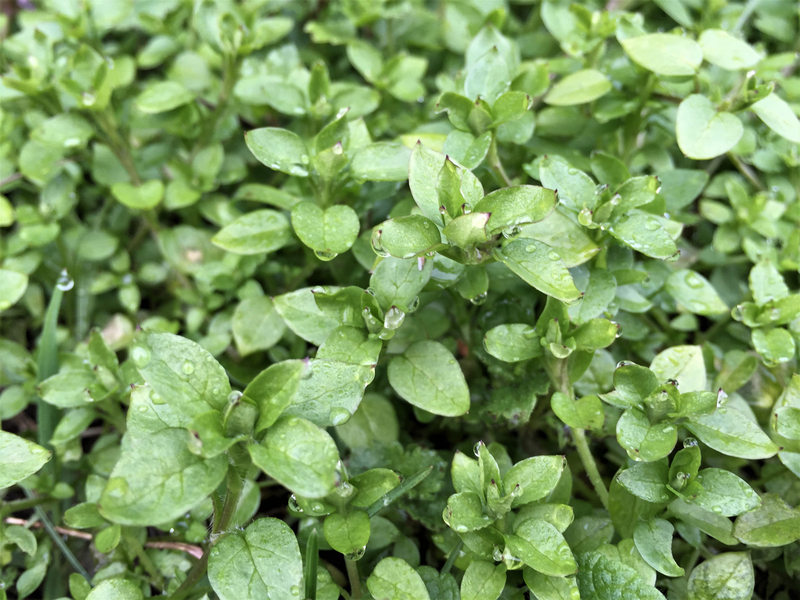 common Chickweed contains saponins which are toxic but you would need to eat your own body weight of it to cause any real harm, you have been warned! 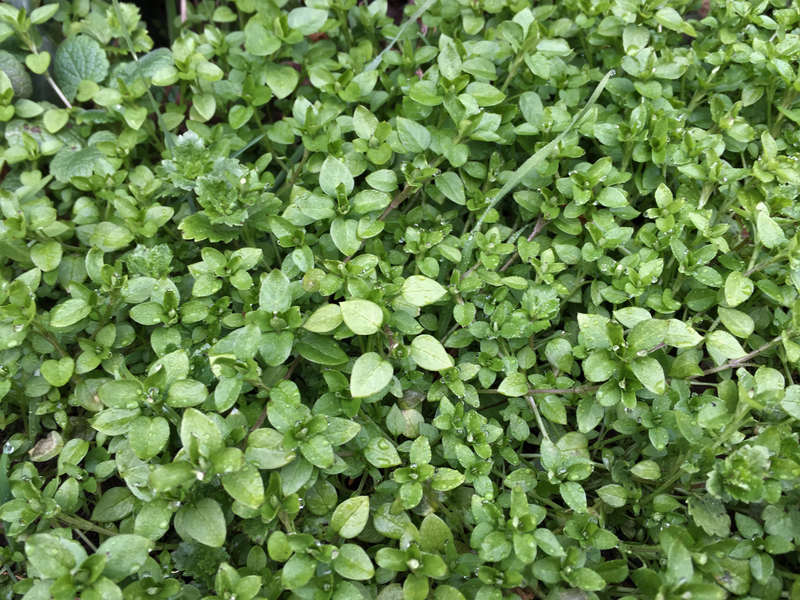 Chicken feed, from where it got its name.